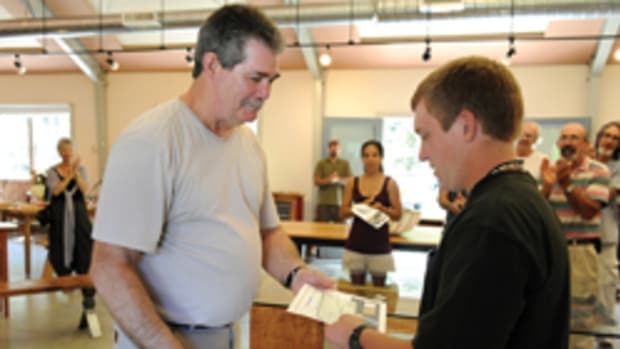 With an infusion of funds and its new tax-exempt status, the Architectural Woodwork Institute Educational Foundation was able to provide scholarships to students advancing their woodworking careers and to organizations supporting advancement of the woodworking industry. “This past year, the AWI gave the foundation a sizeable chunk of money so we could start investing and have something to work with and create an identity using business cards, a logo and advertising,” foundation director Bill Geyer says. Geyer, who is also a woodworking teacher at the Pennsylvania College of Technology in Williamsport, Pa., was part of what was formerly the AWI education committee before the foundation was formed four years ago. He says the committee, formed in 1999, initially intended to give out scholarship money, but faced a variety of problems. The foundation is just now promoting the scholarships after years of struggling to achieve its tax-exempt status as a 501(c)(3) public charity, which allows people to make tax-deductible donations. It will start actively campaigning at IWF in Atlanta and at the AWI’s fall convention. Geyer says expected donors include AWI supplier members, such as machinery dealers and shop owners selling their businesses and looking for tax deductions. 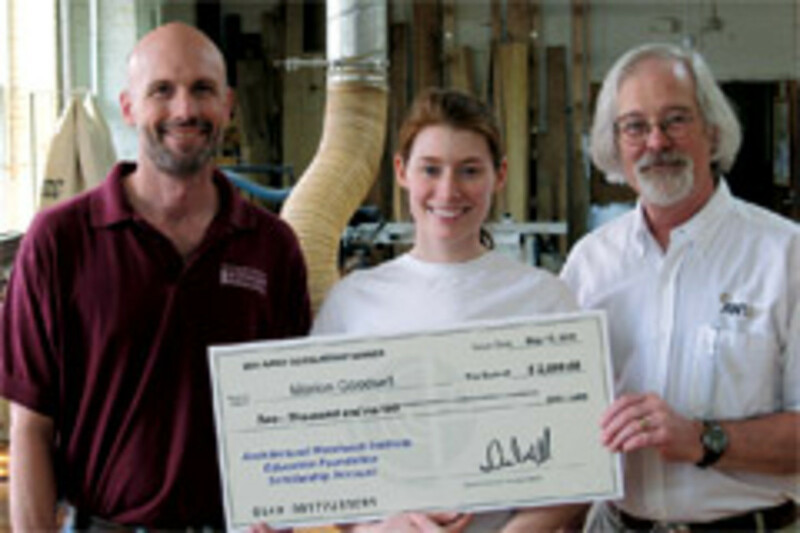 The student scholarships are primarily intended to benefit students in post-secondary programs who are most likely to enter the architectural woodworking industry. Award amounts and quantities vary depending on money available, but generally range from $1,500 to $2,500 per student. “One of our challenges is finding enough programs and faculty to get students to apply for the scholarships. 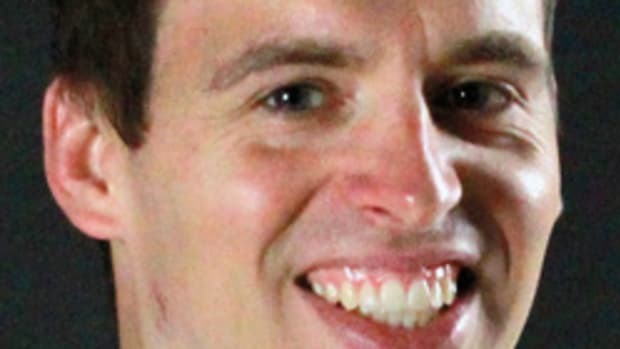 It seems hard to believe that people won’t apply for the scholarships, but that’s been the case,” says Geyer, who believes eligible applicants might be intimidated by the process. 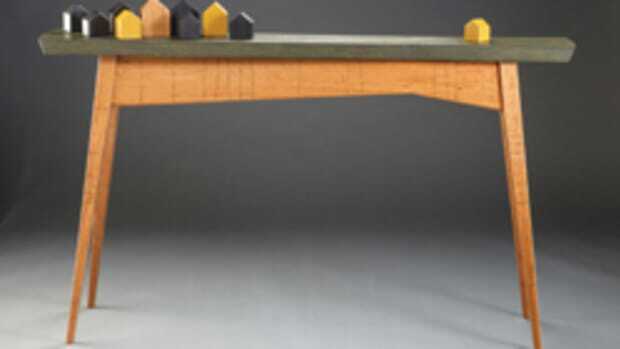 This year’s winners include Michael Morrissey of Pittsburg State University in Pittsburg, Kan.; Ryan Reid of New England School of Architectural Woodworking in Easthampton, Mass. 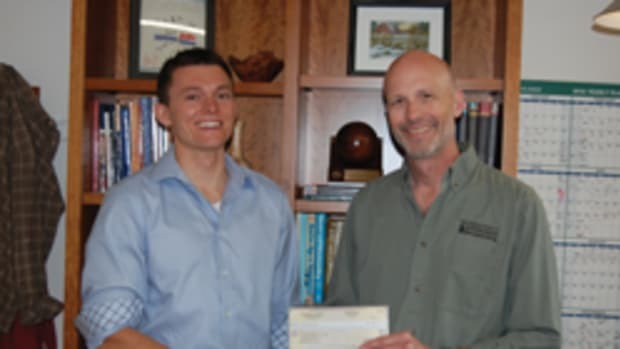 ; Coleman Burch of Virginia Tech in Blacksburg, Va., and Joshua Robert of Madison Area Technical College in Madison, Wis. Daniel Berrios, a SkillsUSA finalist who will compete in the 2013 WorldSkills contest in Germany, received $2,500 to help with travel expenses.